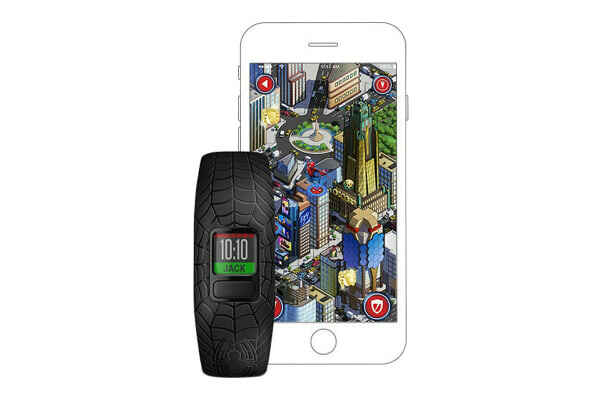 The all-in-one activity tracker for kids. The Garmin Vivofit Jr. 2 (Adjustable) isn’t just a fitness tracker for kids. It’s an interactive experience where activity unlocks adventure. 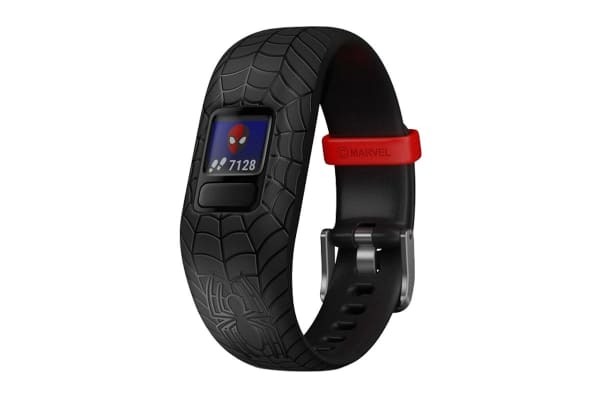 Tough and durable, Vivofit jr. 2 features a customisable colour screen and comfortable band. Your kids can show their Spider-Man style and rock it everywhere from recess to soccer, during bath time and even to bed. The user-replaceable battery will keep kicking for more than a year, no charging necessary. Every day, kids have more to explore when they reach their daily 60-minute activity goals, inspiring them to do their very best. With you as their helper, your child will unfold new adventures and explore different dimensions of the Spider-Verse. They’ll soar high above the city alongside Spider-Man, fight Vulture with the help of unexpected allies and track down the Green Goblin once and for all. The more they meet and exceed their activity goals, the more of the story they’ll get to see. The mobile app isn’t just for the kids to enjoy. 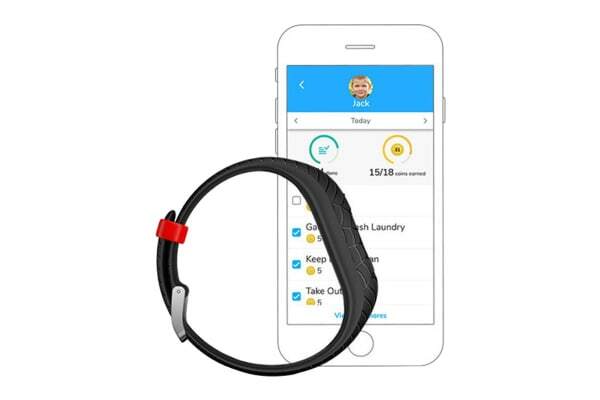 Parents can use it to manage the Vivofit jr. 2 fitness tracker. View activity, responsibilities, sleep, chore data and more after syncing with compatible Apple, Android and Amazon Fire Tablet devices. Link up with your Garmin Connect friends and family and even your kids’ playground pals. When you connect with other families in the Vivofit jr. app, they can be part of your weekly step challenges. Create custom step and active minute challenges and then invite participants from your list of connections. You can even leave comments for each other in the app while the challenge is active.